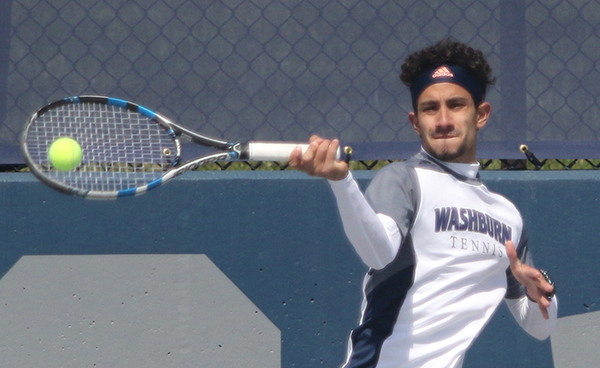 Like two of his three older brothers, the chance for Alejandro Valarezo to play college tennis while getting an education in America won out over staying in his home country of Ecuador. He doesn’t regret the decision. The All-American senior-to-be led the Ichabods to their first trip to the NCAA quarterfinal this spring by winning doubles and singles matches against the No. 4 team in the previous round. In the fall, he won the singles and doubles ITA Central Region championships, advancing to the national tournament. He’ll return this fall as the lone senior on the team. “I think we’re going to do great things,” he said. “Hopefully we can do even better than last year,” he said. When he graduates with his finance and entrepreneurship degrees, he wants to work as a graduate assistant coach somewhere while getting an MBA. “It will be awesome to keep studying, get more experience from coaching and meet new people,” he said. Valarezo could have played professionally in Ecuador while studying there, but he wouldn’t get the support system he has at Washburn. Washburn gave him the best scholarship offer, but he wasn’t so sure about moving to Kansas to attend a smaller school than the Division I schools he had his eyes on. Things changed when he visited. Valarezo knows when donors see how hard his team works, it makes their decision to give that much easier. Along with scholarships, donors also supported recent renovations including repaved tennis courts with a new scoreboard. Valarezo hopes to work in America after finishing school if a company will sponsor him for a working visa. If not, he’ll go back to Ecuador and do finance work at his dad’s company. 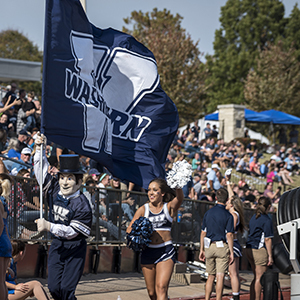 Wherever he ends up, he’s glad his American journey started at Washburn. You can give student-athletes like Alejandro Valarezo similar opportunities by supporting the Ichabod Athletic Fund with a gift online. You can also contact Bruce Steinbrock by email or at 785.670.1334 to learn about creating an endowed scholarship or estate gift that will change student-athletes' lives for generations to come.